Thursday night is, arguably, the best night of the week. Sure, Friday is a work day, but on Thursday night the weekend looms dead ahead, and it’s time to begin the rigorous mental preparation to get into the right frame of mind. 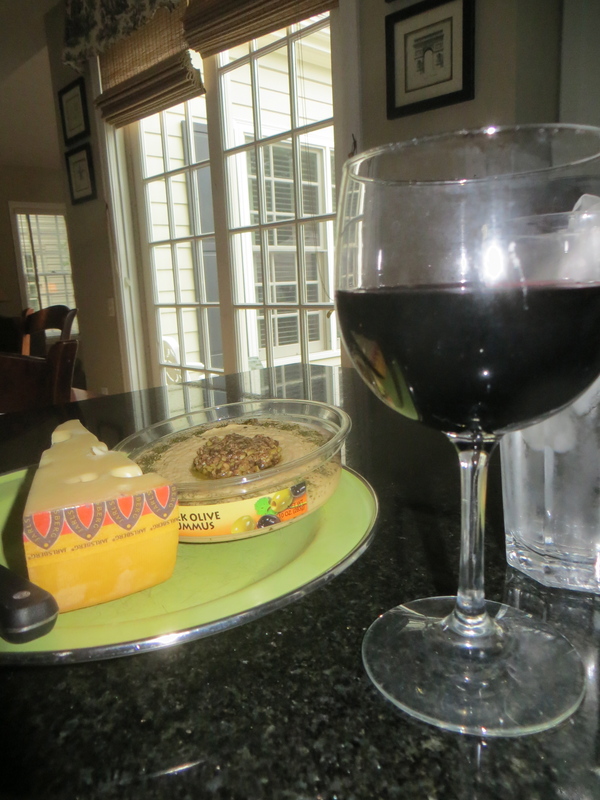 For that reason, I often celebrate Thursday night with a glass or two of reasonably good red wine. 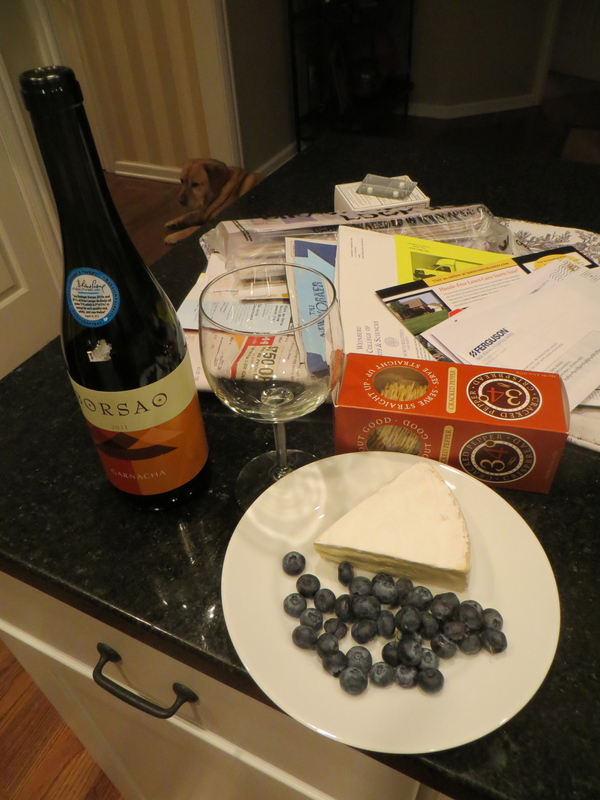 Tonight I’ve cracked open a 2011 Borsao Garnacha, to accompany some brie and blueberries. I’d like to describe the Borsao as a delightfully presumptuous red . . . but I don’t know what it really means to say a wine as delightfully presumptuous, as the wine connoisseurs often do. All I know is that the proprietor of the corner wine shop said that the Borsao is a good value at $8.99 a bottle, and I agree with his assessment. I’ve got the Cowboy Junkies’ excellent The Trinity Session playing on the iPod. This ultra mellow classic is perfectly suited to prepare the tired worker to slide into the weekend, with every song quiet and echoing and whispered, as if they all were recorded at 2 a.m. in a darkened and smoky studio. Penny and Kasey have caught my mood and are stretched out, reveling in the moment. We’ll enjoy tonight and we’ll enjoy tomorrow night even more, because Kish returns home after her brief Florida holiday.